Run, Run Like the Wind… but don’t forget your Armpocket: B.o.B.’s First-But-Not-Last Product Review and Giveaway | Barranquilla or Bust! When I came to Barranquilla, I quickly realized that I was going to feel more comfortable if I toted my phone with me on runs – not just because I could make an emergency call if needed, but also because of the GPS. Being the practical person that I am, I plopped my iPhone into a plastic sandwich bag, leaving the bag open just enough for the earphone cord, and carried it in my hot little hand. (I ditched the iPod since the iPhone had both music and the Nike+ app – although let me tell you, my average time per mile plummeted because if you use the Nike+ app with the GPS, as opposed to the one that goes on your shoe, then you get no credit for all that time you’re running in place at the red light. OMG, I digress again….) That’s when some pretty interesting things started to happen. First, I caught my ankle on a dirt-colored wire that was tied across some parking spaces to prevent cars from entering. As I flew through the air in a ballet leap that I never could have produced at will, my only thought was, “My PHONE! I am going to crush my phone when I land!” By some miracle that I still can’t explain, I managed to land on my feet – or at least one of my feet – and neither the phone nor I suffered any damage. The next time I wasn’t so lucky. I was running along, jamming to my music, happy to be on an actual sidewalk rather than in the traffic, when whoa, I found myself careening sideways toward the cement. Somehow, due to my lopsided fall, I landed on the hand that was not carrying the phone. The phone was unscathed though my knee appears to be permanently scarred. Still I continued using only Mr. Ziploc. And then it happened again. A THIRD time. And I went flying. And the phone went flying. Somehow the phone still works, though it later developed a crack in the face that might be attributable to that fall or to my toddler or both. I don’t know. In any case, at this point I decided the phone had to get out of my hand – both for the phone’s sake and mine (so that I can better catch myself). Since my iPhone 4S is exponentially more expensive than my old Nanos, and since I sweat more in Barranquilla than I have ever sweated in my life, I realized that my old armband-experimentation-combined-with-iPod-replacement-plan was not going to work. I turned to the internet to research products, and the Armpocket got consistently good reviews on all fronts – from comfort to water resistance. I placed my order and was not disappointed. 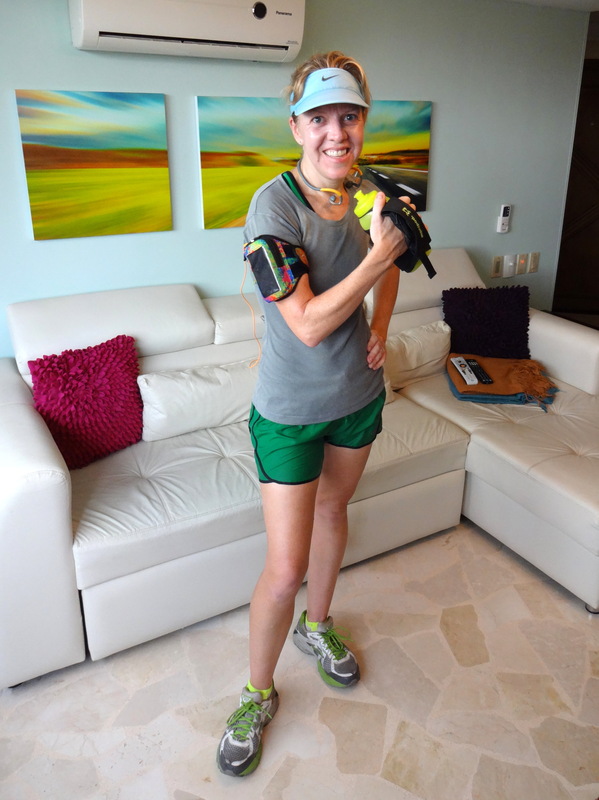 My Armpocket and me, after a 16 mile run with a heat index of probably 95 to 100 degrees F.
The Armpocket is far and away the best armband of any type that I have ever tried. I absolutely would have used it earlier had I known about it. It holds my phone securely and allows good access, while at the same time providing space for some money, a card with emergency phone numbers, my ID, and more. It could also hold my keys if I didn’t jam other stuff like a baggie of electrolyte tablets into it. The Armpocket’s “jiggle” is the most minimal of any product I have used, particularly given that the Armpocket provides exponentially more space than my iPod bands. Perhaps most notable is the water resistance. On this front, the Armpocket beats everything else I have ever used, including my partially closed Ziploc bag. 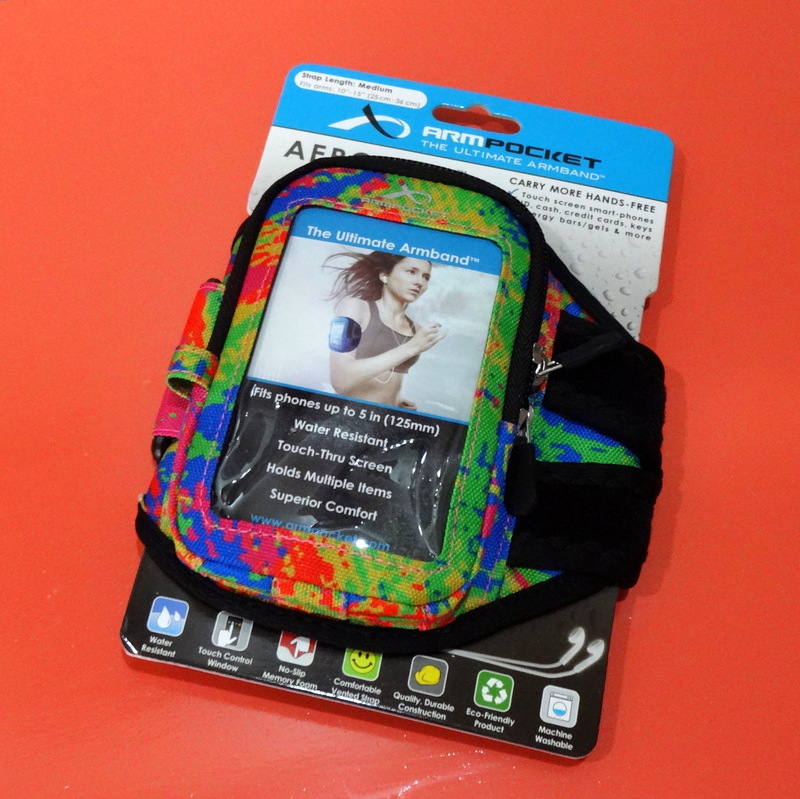 The company does not claim that the Armpocket waterproof, and it’s not – but the water resistance is extremely high. Just over two weeks ago, I took it on a 16 mile run in Barranquilla. By the time I got back, every part of me and everything on me was soaked — completely drenched — on the outside. The money that I had inside the Armpocket at the back (the part closest to my arm) was moist, but my phone was as dry as a bone. I’m confident the conditions under which I ran were as extreme as they get, wet-wise, absent a total downpour. The one thing that I did have a bit of trouble with was the size. Prior to ordering online, I dutifully measured my arm. The diameter of my arm fell at the top of the range for size Small, and so that’s what I ordered. Unfortunately, after a few weeks of use, the seemingly super-strength Velcro started to “fuzz up” and not hold like it should. I decided this was perhaps because I had to pull the band too tight to make it fit. I contacted Armpocket Enterprises about this, and they agreed to replace my Armpocket for free (and to allow me to do this giveaway along with product review under no obligation). I sized up to the Medium, and the problem was solved. I’ve now been running with my Medium Armpocket for several weeks and it’s great. I am convinced that the Velcro problem was due to the size. So, like those old instructions for pantyhose (yes, I am dating myself, and I realize my male readers have no idea what I’m talking about – count your blessings, guys), if you’re at the top of the measurement range for a given size, size up. My Armpocket also goes with me to the races. 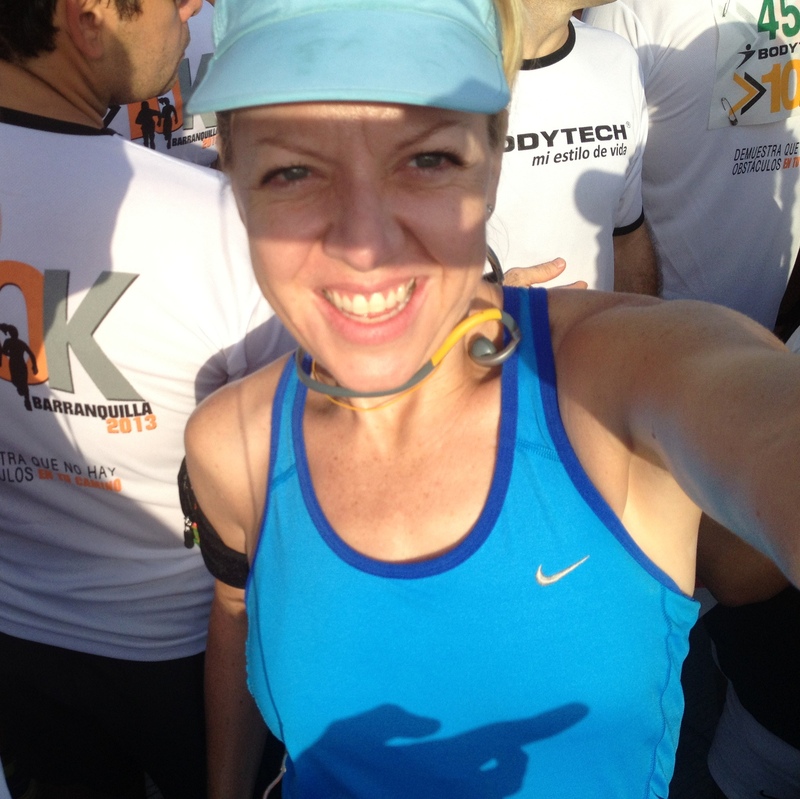 This was at the BodyTech 10K in June. I once read on some other runner’s site (apologies that I don’t know which one!) that that runner judged products like armbands and waterbelts not by whether he could feel them after they were on – you can always feel them – but by whether he forgot he had them on a few minutes after starting to run. The Armpocket passes that test with flying colors, and allows me to feel secure in the fact that I have all the essentials with me. I can’t recommend it more highly. Now for the (more) fun part! 1. If you haven’t done so already, follow this blog. This helps ensure that regular readers have the best chances of winning! 2. Like, follow, and/or share the Armpocket Facebook page or Armpocket Twitter page. Tell them that Barranquilla or Bust sent you! Then add a comment below to let me know you did so. In your comment, be sure to include the Armpocket model, color, and size that you want(I have the i-10 iPhone 4S compatible, size M, in Splash). You can check out all the models here. Enter by Saturday, September 26th. I’ll put the names of all entries into a hat and draw the winner randomly by October 3rd. Do you have running/fitness products that you can’t live without? Be sure to share those with all of us too. Happy running! This entry was posted in Health, Running, Sports & Leisure and tagged Armpocket, barranquilla, Colombia, jogging, product review, running, sports. Bookmark the permalink. Wow … running 16 miles in BAQ … incredible! It really is an obstacle course negotiating the sidewalks, curbs, and traffic. I have to admit I’m a little surprised some kid on a motorcycle hasn’t ripped that armband off … hopefully it won’t be a problem. I think twice about even driving 16km in Barranquilla. We hope to be there in Dec/Jan. Are you planning a party to meet your followers during this time? Hmm, I hadn’t thought about hosting a party like that, but sounds like fun! Thank you for a great idea. :))) Will you be here for a visit, or for the long haul? We hope to be in Killa and Cartagena from late Dec. to Mid January. Awful returning to Canada from Cartagena ( +30 C to – 30 C; yes I have experienced this). But we are hoping to make the big move before Summer 2014. I assume in Killa we will stay at Eslait; corner 53rd and 72, in front of Carulla. Good rates, rooms are clean and good location to go anywhere. I wonder how many people would go to an ex-pat or soon to be ex-pat supper/party? Where could it be held? Los Helechos, Jardines de Confucios, shame Mi Vieja Barranquilla is closed. Merendero or Pizza Loca or at El Prado? El Prado could be a good topic for a blog. Very elegant hotel. I think we should find out how many would show up! 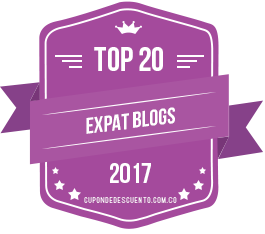 I know Medellin has quite large expat groups; it seems like Barranquilla’s population is growing enough to have one too. Maybe we can host something in mid-January right before you return to Canada (I’ll be gone to the US during much of your trip). Keep me posted on dates! As for El Prado… it would be a good topic. I actually went there for the first time just recently and was really sad because I forgot my camera! It did not seem to have too many people around, though. I hope they are doing okay business-wise. I will do my best for us all to meet in mid January. It is in line with our plans. I assume there are not many ex-pats living in Killa but I think it is a good idea for ex-pats to have a quasi support group in a place such as Colombia. It is verrry important for ex-pats to at least speak Spanish well to live there. Even in Cartagena hotels I have found that people do not speak English nor want to learn! In Killa speaking Espanol is a must. I have been to Killa 12 times and I married a Barranquillera there in 2003 and adopted her daughter. We are hoping to move there in Mayo 2014. But we can never control outcomes. Very few North Americans, if any at all know of Killa. I have seen changes since 2003. The nicer hotels are much pricier since then and the attaching promenade between the Buena Vista shopping towers did not exist then and a lot of condos have been built in the far northern part of the city as well as a number of shopping malls run by Carrefour in different parts of the city. 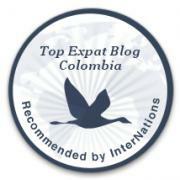 My wife’s family is there and she lived there most of her life and I prefer being near the coast to visit Cartagena, rather than living in Bogota with at least 8 million people although I think that the possibilities for a young person are far better than those found in Killa. I was there a couple of times. I have never been to Medellin, Cali or St Andreas Island. I believe that El Prado is not busy as it was but a very elegant hotel, especially the swimming pool area. Hey! I went and liked their page and I would like to get the i-10 iPhone 4S compatible, size M, in Black (assuming that I win of course… which I will…) please! Hi Courtenay! I went and liked Arm Pocket on FB. I’d love it to hold my phone while I strength train. Hoping for the I-10 for iPhone 4S in Navy blue. Thanks for the thorough review. I even checked out the earphones on the other site. My older son has been through at least a dozen earbuds. Pingback: The Price of Bliss (It’s Not About the Gun) | Barranquilla or Bust! Better late than never, with my super sincerest apologies for the delay, WE HAVE A WINNER! Scott Litwiller has won the Armpocket of his choice. Scott, Armpocket already has your prize in the mail. Thanks to all who participated in the giveaway, and to everyone for their interest!